By Jesus becoming sin for us we have become the righteousness of God, we now have right standing with Him. This right standing is what gives you the right to all that Jesus Christ has purchased for you. Many times I have asked people when sharing the Word of God if they were working on becoming right with God to raise their hand. Hands always go up when you ask this question. I would then tell them they are trying to do something that is impossible for if you could make yourself right with God you would not have needed Jesus to come and give you His righteousness. This is what hinders many from receiving what God has for them because they don’t think they are right with God. But if you are born again you have been given the gift of righteousness. He became sin so that we could become righteous. He took our sin and He gave us the free gift of righteousness. Once born again we are as right with God as we will ever be. We are heirs of God and joint heirs with Christ. Walk in your rightful place with God by acknowledging who you, what you have, and what you can do in Christ Jesus. Everything we have been promised through Jesus Christ is available to us. Many people today think God only heals or blesses certain people as if He shows favoritism toward certain ones but that is not what scripture reveals. In Acts 10:34 the bible reveals that He does not show special favor to anyone. 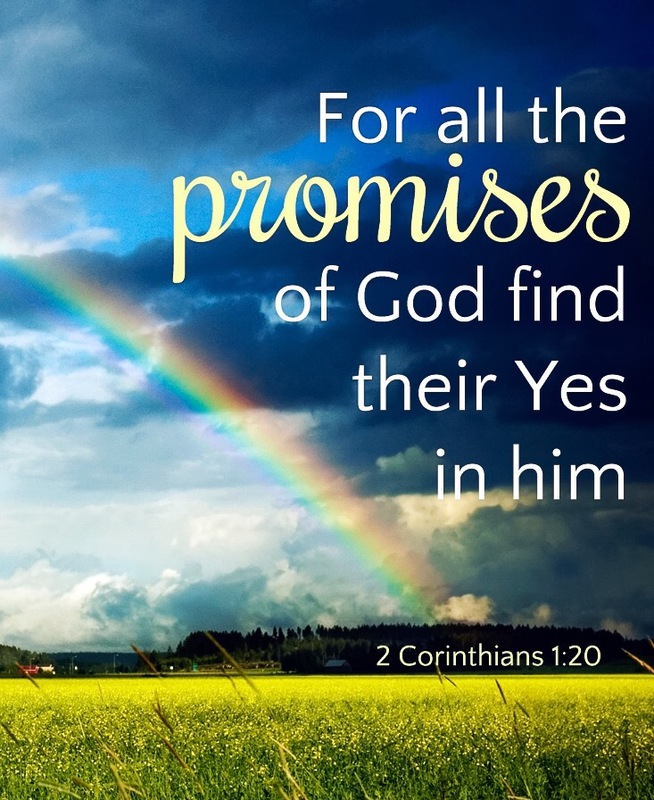 If you have ever wondered if you could have what God has promised us the answer is yes. Every promise we have in Christ is available to anyone. We must give our “Amen” to receive it. The word amen means: So be it unto me. It is a statement of faith. You see God is no respecter of persons but a respecter of faith. Here is a vital key to receiving His promises. To walk by faith you have to see what is a promise of God as a present day reality for faith is present tense. Hebrews 11:1 declares, “Now faith is…”. Most believers are not walking in bible faith. They put what they say they are believing for off into the future. For example when someone says they are believing for God to heal them that is future tense and that is not faith. The bible says you were healed. When you give your amen to what God has promised you see it as already done. When you do you will walk in what God has promised you. When man sinned in the garden his relationship with the Father was broken. He could not have intimate fellowship with God because of the sin nature that was now separating him from God. But that is why Jesus hung on a cross and bore our sin, and the punishment our sin deserved. In doing so He provided the way for that old sin nature to be removed and for us to receive a new spirit within so God the Father and man could once again be resorted to have intimate fellowship. Jesus tells us in John 17:3 that eternal life is to know the Father. Not just know about Him, but know Him intimately. That was the primary reason Jesus came. Eternal life does not mean to exist for ever for all will do so, but those who know Christ will not face separation from the Father. The sad truth is the moment you become born again you should not wait to get to heaven to know your heavenly Father. He wants us to get to know Him now. James tells us when we draw near to Him, He draws near to us. We can do so through His Word, through prayer, and by coming to His house and worshipping Him, being equipped to go out and work together with Him. So don’t receive the grace of God in vain. Get to know your Father personally. You will be glad you did. The very existence of our life is found in Jesus Christ. 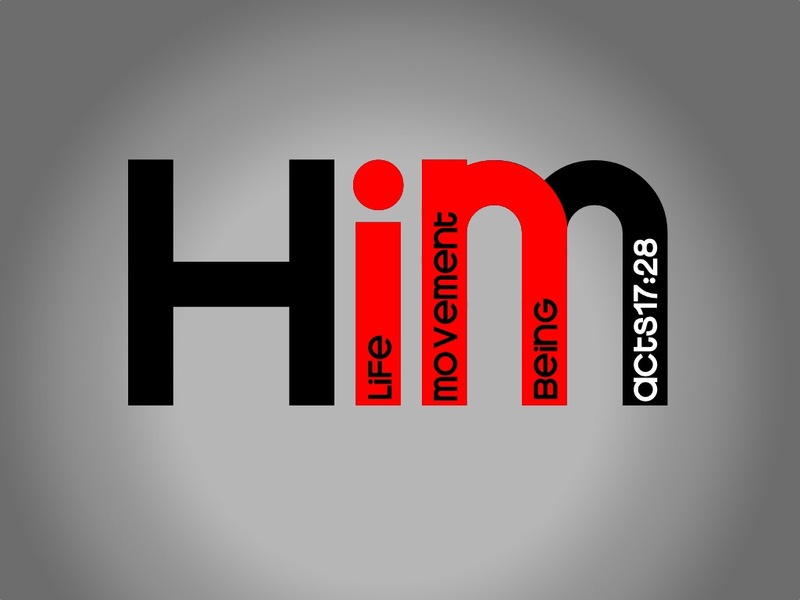 Because of Him we have life. Jesus is the Word that became flesh, therefore He and the Word are one. To truly live we must allow His Word to work in us. In 2 Timothy 3:16-17 we are told that all scripture is profitable for doctrine, rebuke, correction, and instruction in righteousness so that we may be throughly equipped for every good work (what God has planned for us). We must continually receive doctrine, teaching from the Word of God. As we are taught the Word rebuke will come, which means to reveal areas of our life that needs to change. If we will not turn from rebuke we will then receive correction from the Word, which is God revealing how to change the areas we are not walking in line with His will. As we make the corrections we are instructed in righteousness, which refers to a deeper relationship with God for we were given righteousness (right standing with God) so we could develop our relationship with Him. Letting the Word do it’s work in your life is how you truly live, move, and have the kind of life God has for you. 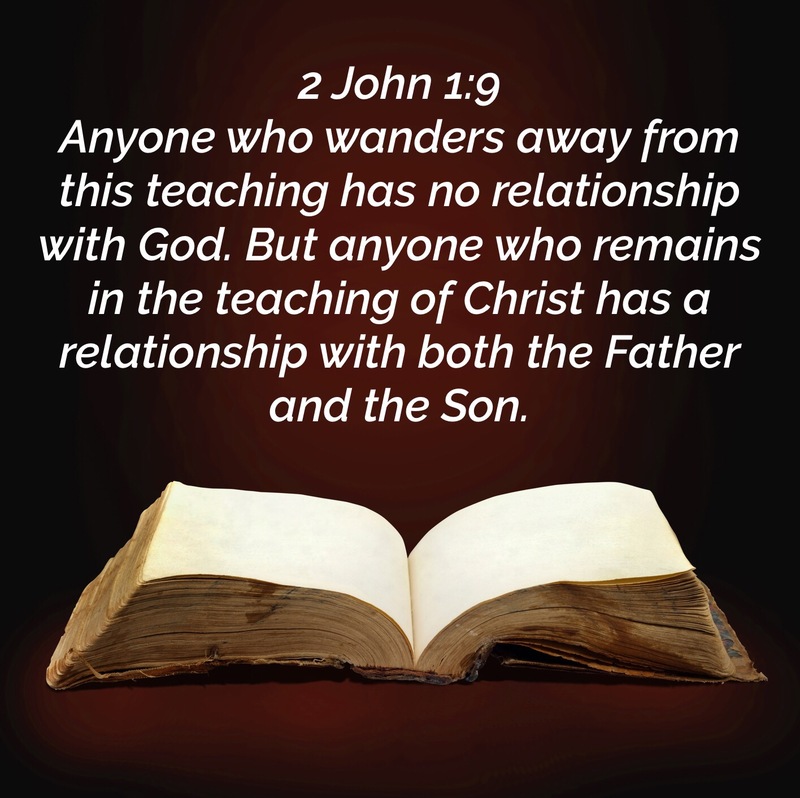 To walk with Jesus Christ and our Heavenly Father you must abide in the doctrine (teachings) of our Lord Jesus. You can’t live the way you want to and walk in close fellowship with God. As a great man of God Dr. Roy Hicks said, “God loves everyone the same, but He does not fellowship with everyone the same.” Getting to know the Lord Jesus and our Heavenly Father is the main reason Jesus came. Through sin man’s fellowship with God was broken and man became estranged from God. Jesus provided for us a way back to the Father so we could once again have fellowship with Him and get to know Him. Coming to God’s Word and learning His ways is how we get to know God for He and His Word are one. The great Smith Wigglesworth said, “I can’t understand God by feelings. I can’t understand the Lord Jesus Christ by feelings. I can only understand God the Father and Jesus Christ by what the Word says about them. God is everything the Word says He is. We need to get acquainted with Him through the Word.” Jesus taught us how to walk with Him and the Father. If we will follow His teachings you will walk in fellowship with God. Would you like to have a greater knowledge of Jesus Christ? Peter tells us how we can obtain it by adding to our faith (salvation in Christ) the list of things he names in the above scriptures. So once born again if we really want to know our Jesus Peter said you must then add these to your life. 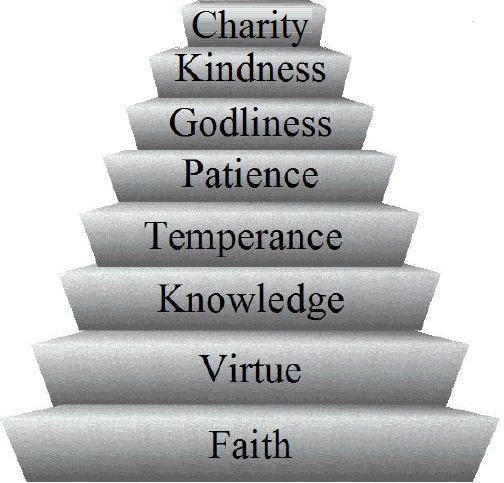 Virtue – Moral excellence, living a holy life set apart unto God. 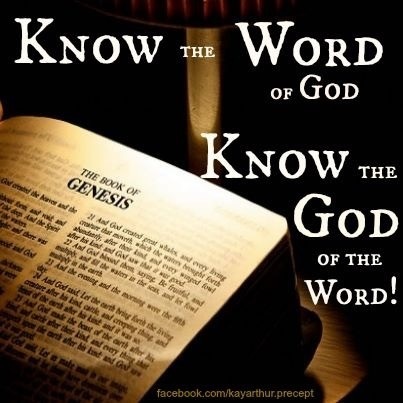 Knowledge – Having an understanding of God and His Word for His people perish for a lack of knowledge. Self-Control – One who masters his desires and is not ruled by the flesh. Perseverance – A consistency in the things of God. Godliness – A reverent fear and respect for God. Brotherly Kindness – A genuine love for other believers. Love – A compassion for the hurting and the lost. There you have it straight from the Word of God. If we will be diligent to add these attributes to our salvation in Christ, we will truly get to know our Lord and Savior who purchased our salvation. Once you are born again you have within you all that is good, because you have the very presence of God Himself residing in your spirit. 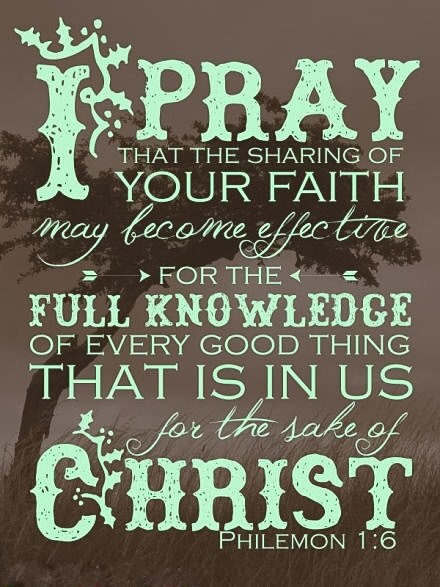 To become effective in sharing your faith, acknowledge how good your God is. Don’t magnify the devil by focusing on and talking about what you may be facing in the natural; magnify the goodness of God within you by acknowledging all you have in Christ Jesus and what He has done for you. This is what walking by faith and not by sight is all about. When you walk by faith you do not look at what is seen or revealed to the senses, but the things which are not seen (what is not yet revealed in the natural realm). We don’t deny the natural realm, we just don’t magnify and focus our attention on it by talking about and confessing the problems. Instead we focus on the goodness of God by looking to God’s Word and magnifying and confessing the Word of God over our lives. This will change what you see in the natural and share your faith with others.